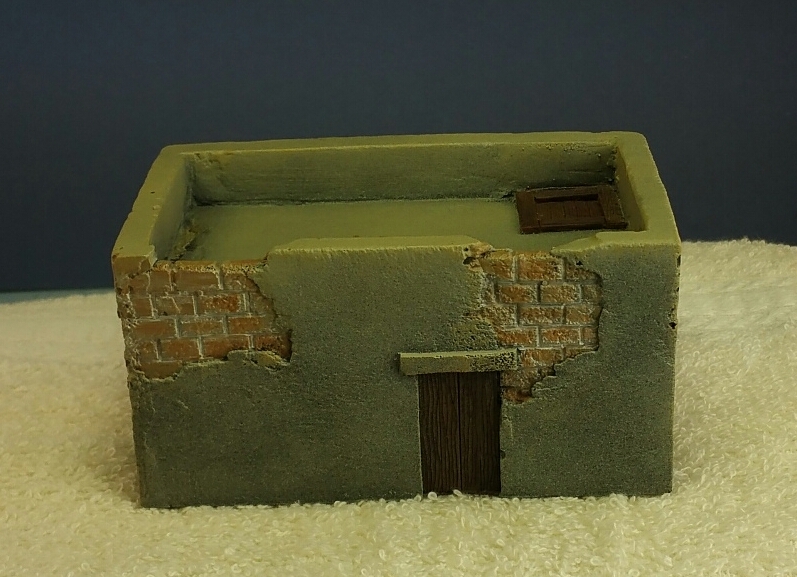 Monolith Designs 28mm Resin: Adobe and RB Ranges. A Complete Village of 6 Buildings: 4 Complete + 2 Damaged. Can be Used for a Wide Variety of Historical Periods / Campaigns from Ancient to Present Day. Painted to a Very High Wargames Standard. Village will be Carefully Packed for Shipment. Price Listed INCLUDES Shipping and Handling via USPS Standard Rate Mail with Tracking and Insurance. 1 – Large 2-Story Building with 2 Doors / Flat Inset Roof with Trap Door. 1 – Large / Long 1-Story Building with 1 Door / Long Flat Inset Roof with Trap Door. 1 Medium 1-Story Building with 1 Door / 2-Level Flat Inset Roof with Trap Door. 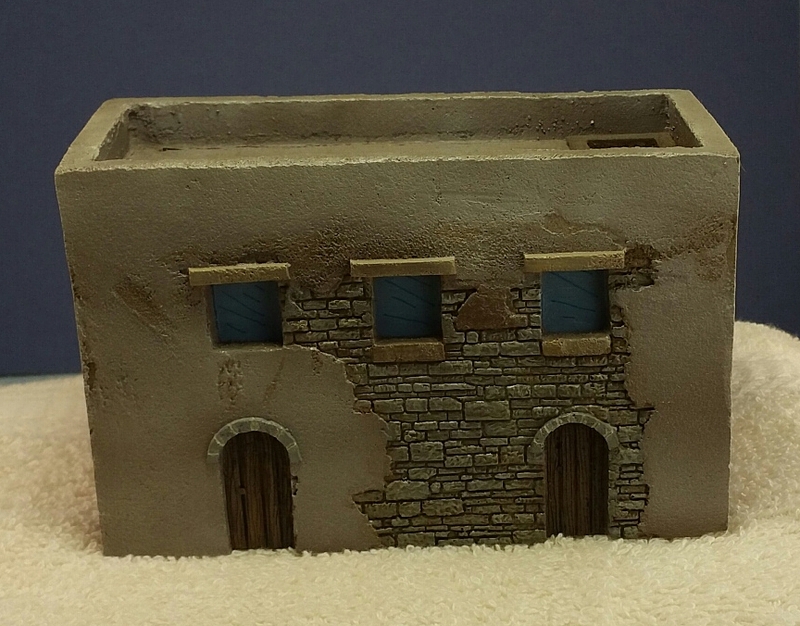 1 Small Building with 1 Door / Flat Inset Roof with Trap Door. 1 Large / Long Damaged Building with 3 Doors / 4 Damaged Walls. 1 Medium U Shaped Damaged Building with 4 Access Points. Quality All Resin Solid Construction. All Complete Buildings feature Multiple Windows in Different Locations. All Complete Buildings are Hollow for Figure Placement. Damaged Buildings have Multiple Locations for Figure Placement with Adjoining / Integral Wall Sections. 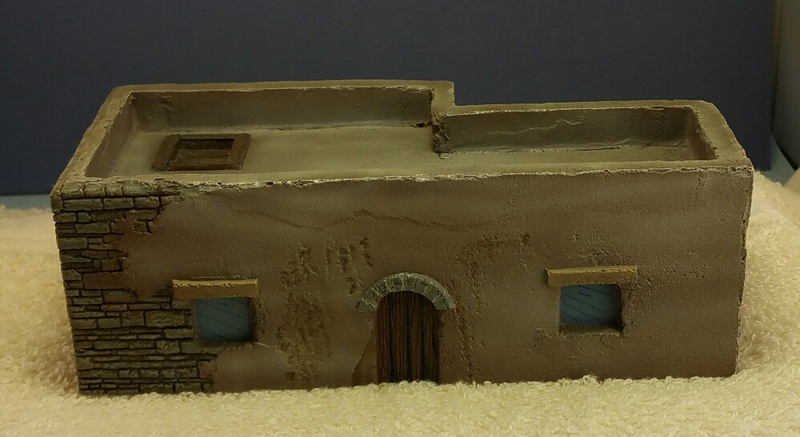 Detailed Sculpting: Plaster, Brickwork, Windows, Doors and Wood Details. Please Contact Me if you require Additional Pictures / Information.